Wine is always a safe gift to give, but once you add one of our Purple Wine Bags in the mix, your safe gift just got a luxurious, royal, gleaming accessory. So when you want to add pizzazz to your wine, try our pretty purple packages. These Purple Wine Bags are great for any time of the year. From Christmas presents to summer wedding favors, these wine bags will beautifully decorate that typical wine gift - so much so that your gift recipient will be in awe! Get a hint of what's inside with our translucent bag or go for a shiny addition with our fuchsia foil. And don't forget about our sheer choice! It's great for displaying your wine with some extra class, elegance, and shine. 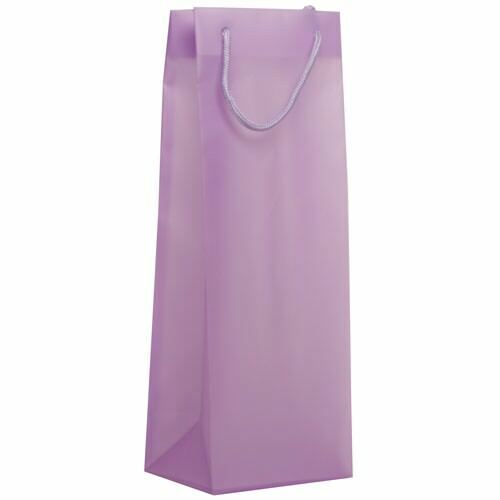 All Purple Wine Bags can hold a standard size bottle of wine (no fat bottles).